The loss of a loved one can easily be the most painful time in a person’s life, especially when it happens suddenly and without warning. It’s even more heart-wrenching when your loved one was killed as the result of the negligent act of another. Life as you know it will never be the same. Although there is no amount of money that could bring back your loved one or ever replace what your family has lost, the person responsible for the accident deserves to be held accountable. 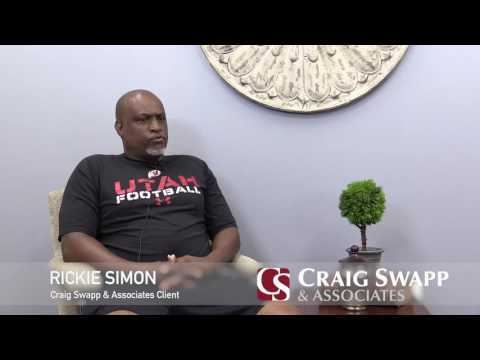 A Salt Lake City wrongful death attorney from Craig Swapp & Associates can help you achieve justice against the negligent party and obtain the compensation you deserve for your losses. Whether your loved one passed away in a motor vehicle crash, due to a defective product, or from medical malpractice, the financial devastation it leaves can be devastating, especially when the victim’s income is necessary for your family to make ends meet. Who Can File a Wrongful Death Lawsuit in Utah? When a loved one is killed, close family members of the deceased, such as a spouse, parent, or child, can file a wrongful death lawsuit on the deceased’s behalf. If the victim named a specific individual as his or her estate’s personal representative, that person may also file. There are also circumstances that may allow stepchildren and other blood relatives to file suit. Your fatal accident attorney in Salt Lake City will help you determine if you are eligible should there be any uncertainty in your case. When your wrongful death lawyer in Salt Lake City can prove that the defendant caused death through intentional or grossly negligent conduct, punitive damages may also be awarded. Just like with personal injury claims, there is a statute of limitations for wrongful death lawsuits in Utah. In order to seek financial compensation, you will need to file your claim within two years of the deceased’s date of death. This time constraint is reduced to just one year if a government entity was responsible for the incident. We understand that your loss can have a profound effect on your family’s wellbeing. A Salt Lake City fatal accident attorney from Craig Swapp & Associates can help you seek the compensation that your family is depending on. We offer all new clients a free, no-obligation consultation, so there’s absolutely no risk in coming in and finding out what we can do for you. Call 1-800-404-9000 today or complete the form below to speak with a compassionate Salt Lake City wrongful death attorney.